As the sun set and light fog settled, more than 250 people gathered around the track at Sonoma State University’s southeast corner for the opening of a new and improved observatory building. After a series of introductory speeches, including ones by Provost Lisa Vollendorf and SSU President Judy Sakaki, the ribbon was cut and the new observatory was open. Guests could observe some of the building’s new technology and see the stars in a nearby planetarium. Sakaki said Sonoma State’s observatory has served both the campus and the greater community for more than 40 years. Sakaki recalled previous community events that centered around Sonoma State’s observatory, including a record-setting evening in 1986 when 400 people came to view Halley’s Comet. She commended the observatory’s role in the community after reciting a Maya Angelou quote. Scott Severson, observatory director and a physics and astronomy professor, said the observatory is useful for upper-class lab courses that serve physics majors and astronomy minors. “One of the really unique things about our campus… is upper division general education courses in astronomy,” Severson said. The new observatory replaced a 41-year-old facility that was used for both astronomy classes and scientific research, according to observatory director and astronomy professor Scott Severson. The updated observatory uses the same telescopes as the previous facility, but includes newer computer technology and electronic advancements like a remote-controlled roof. In addition to an improved roof, Severson said the new observatory has separate doorways for an entrance and exit, adding a sense of “flow” to Public Viewing Nights. 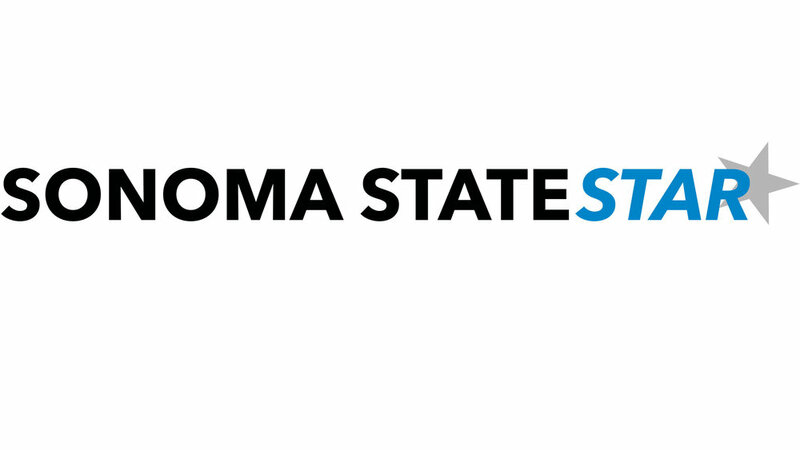 These events, which are open to both Sonoma State students and the greater community, have been planned roughly once per month since the original observatory’s opening in 1976. Justin Hoijer, vice president at Sonoma State’s society of physics students, served as an observatory ambassador at the opening. He said he encouraged all students, even those not familiar with astronomy, to attend a Public Viewing Night at some point. Three Public Viewing Nights are currently planned for the observatory, according to the department of physics and astronomy. There will be one event each in September, October and December. Severson said the department is also developing an astrophysics major, which should be available to students within a year. Severson said he’d like to see students be trained in “modern technical skills, optics and electronics, and data science,” and that he hopes the observatory will have larger telescopes to work with in the future. Lynn Cominsky, the physics and astronomy department chair, said she hopes the new observatory will encourage more students to become involved in astronomy. “Astronomy is an inspiring introductory science course, but for students to really learn enough science to continue on to jobs in the high-tech industry or to graduate school, taking more astronomy and physics courses… is essential,” Cominsky said.